As a physical therapist, the patients I see vary significantly in mobility, strength, and activity level. This being the case, the challenges in treating them are all unique, based on their impairments (mobility, strength, and pain) as well as their functional level and activities they wish to return to. 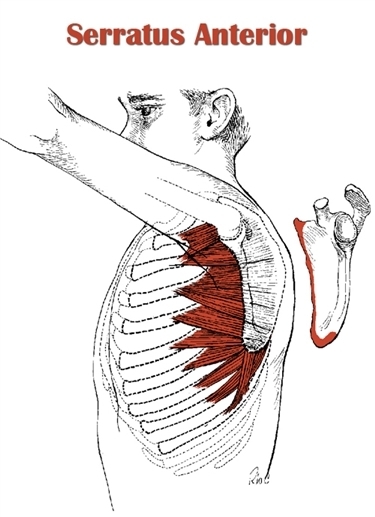 This is a classic example of scapular winging on the left- which changes the working relationship of all the other muscles that attach to the scapula (teres major and infraspinatus-where she had significant tenderness), as well as a host of others If the scapula is unstable, there isn't a good platform for the other muscles to work off of, and you have the "shooting a cannon from a canoe" situation, with the scapula being the canoe. Also, if you observe the right side, you also see decreased eccentric control of the middle and lower trapezius when the shoulder lowers from the elevated position, which happened to be a bonus pick up, as she is asymptomatic on the right. Hmm, I wonder what we are going to work on with her? Stay tuned for the outcome, as she reported a pain free shoulder for 24 hours after our first treatment- the first time in six months her shoulder hasn't hurt! I have recently treated a Division One lacrosse player with an acute onset of illiotibial band (ITB) "tendonitis". He had not practiced for over a week due to pain at the patellofemoral slip of the illiotibial band rated 9/10 with (10/10 pain is akin to being hit in the shin by a Tim Lincecum fastball). Pain was primarily present with the swing phase of full speed running, as well as with stair climbing. A cortisone injection 5 days prior didn't help pain at all. Ultrasound and electric stimulation anddistal ITB "stick" work and massage were the treatments he was receiving, with no impact on his pain. 1) There wasn't any significant ITB tightness or illiopsoas tightness, and strength in key areas was normal (glute med/ max, psoas). There was however an audible and palpable "clunk") at the fibular head with passive deep knee flexion in prone-and it wasn't painful. 2) Ligamentous tests for laxity/instability were unremarkable and there wasn't joint line tenderness or swelling. The patella (kneecap) was mobile enough and pain free, both passively and with active quadriceps contraction. One legged squatting was with good control, again without pain/ symptoms being reproduced. 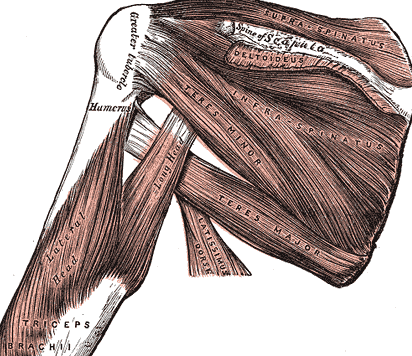 I felt the pain generator was primarily soft tissue in origin, with most of his tenderness following the spiral line outlined in Anatomy Trains. 3) Allow stair climbing and running > 10 mph at less than 2/10 pain. I really don't know why I utilized for this mobilization technique, but I was glad I did. I just suspected that it would be useful. After several repetitions over 10 minutes, his pain went to 0/10 with 10 mph running at 3 degrees incline (no Woodway treadmill in my place, sorry) as well as 0/ 10 up and down stairs repeatedly. He returned to school and practice without incident, only needing to be seen for one visit. Needless to say he was very pleased (in addition to his his coach and his team). Home exercise revolved around stretching the lower spiral line, both in prone and supine, with emphasis on the athlete "feeling" the affected areas under stretch tension. Additionally, he was given some basic abdominal bracing strategies to decrease his anterior pelvic tilt and engage the superficial/global abdominal musculature (as the external/ internal obliques are a big part of the spiral line). My rationale, as well as the mobilization certainly weren't "classic". All I had was my gut feeling, based off of examination (with palpation playing a large part), previous patients with shades of this problem, as well as my increasing appreciation for myofascial meridians; my gut proved right in this case. In the end, what I really did was assess, intervene and re-assess. If you do this and if improvement is present, I believe you are on the right track, especially if what you are assessing is addressing the patient's legitimate concerns. In this case, the intervention (soft tissue work and the above mobilization) met his goal (run without pain) and mine (decrease the tissue tenderness as well as the annoying "clunk" at the fibular head). Win-win for everyone. A long time patient voluntarily demonstrated this crazy level of upper extremity mobility to us the other day. We are treating her for a lower extremity issue (where she has just as much mobility). She is an advanced ballet practitioner and her mobility is obviously an advantage in her chosen endeavor. Our challenge is to help her understand that dynamic stability and functional strength are key in minimizing her symptoms; increasing these in the context of her high level of mobility will be our biggest clinical challenges. Mine is a fun job, especially whenso many different types of patients with unique problems present for treatment. Having multiple treatment approaches to draw upon and understanding how to implement them based on what you see, what you have seen, evidence, and (most importantly) what the patient is telling you usually leads you in the right direction.